The perfect gift for car lovers and future engineers! Build and experience a quintessential collectible sports car – the LEGO Technic Bugatti Chiron! Developed in partnership with Bugatti Automobiles S.A.S, this set is a faithful recreation of the real car! The Bugatti advanced model car build is created with 3599 pieces and features a classic duo-tone blue color scheme. This set is the perfect addition to any adult or teen’s car collection and can be played with or used for display. This 1:8 scale Bugatti Chiron race car model features an active rear wing, 8-speed gearbox with paddle gear shift, W16 engine, steering wheel, suspension and spoked rims and comes in luxurious box packaging with a collector’s booklet. 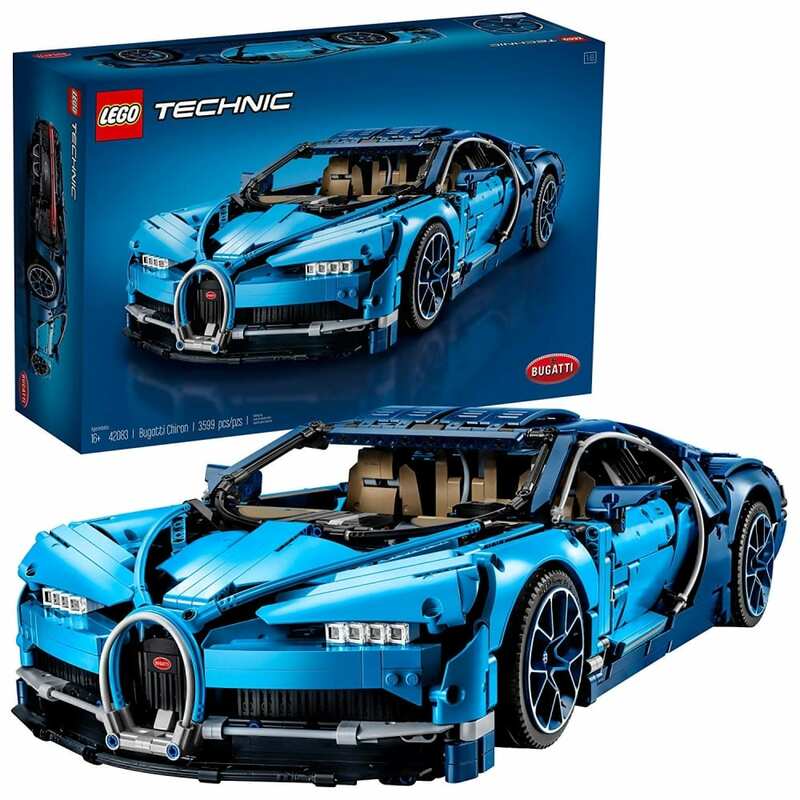 The LEGO Technic Bugatti Chiron model car building kit can be built together with all LEGO Technic sets and LEGO bricks for creative construction and extended play.